The photo shows a prototype of PWM ( Pulse Width Modulation ) driver switching glow plug current at high frequency. I designed an oscillator varying frequency and duration with trimmer rotation. It has a FET. the FET works at high speed and has very low ON resistance. It has, however, large gate capacitance to lower switching speed. I improved gate driving circuit. It can set 2 batteries in series or shunt connection. The circuit board is contained in the plastic box. 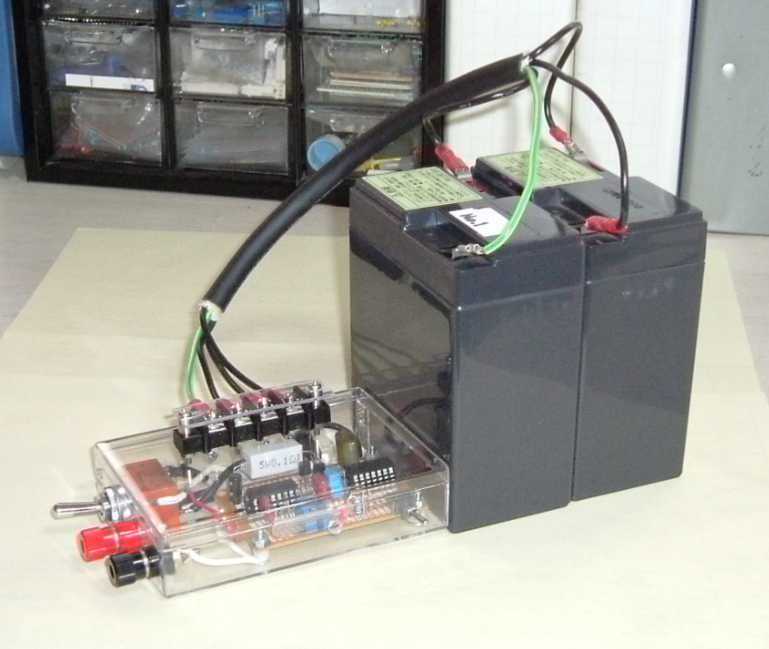 The capacity of the shown battery is 6V9Ah each.